Description: Embroidered. Red and white patterns on dark blue. Red Olympic rings and a white text: 1940. 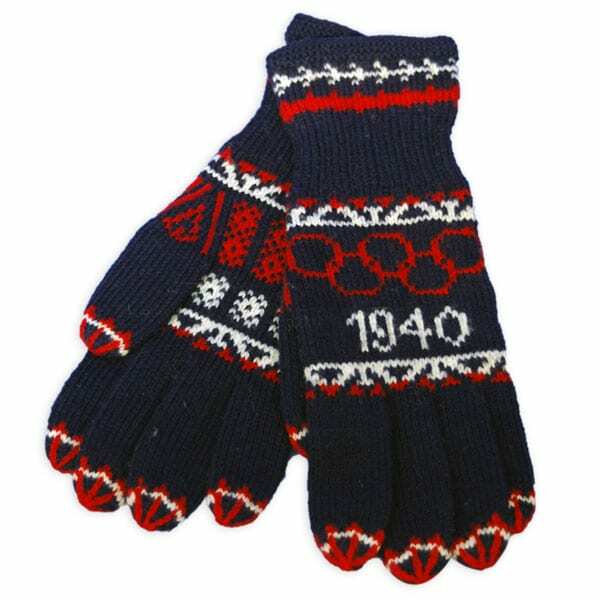 Other information: Gloves were knitted in Lahti and Orimattila.